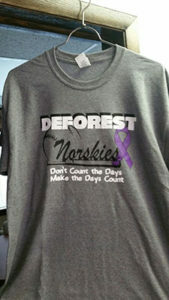 There are a number of t-shirts from the Lady Norskies Softball benefit game for Justin Blau. If you would like to purchase a t-shirt, they are available in the Friendship Room for $10 each. Sizes available: 3 – L, 5 – XL & 4 – XXL.